Are Bananas Allowed on the GAPS and SCD Diets? Home » GAPS Diet » Are Bananas Allowed on the GAPS and SCD Diets? On the Specific Carbohydrate Diet and Gut and Psychology Syndrome diet bananas must be all yellow with lots of brown spots before using. This ensures that they have converted the vast majority of their starch into simple sugars. Starch is not allowed on GAPS or SCD because it travels to lower in the GI tract, which feeds the pathogenic bacteria that we are trying to starve out. Simple sugars absorb quickly and do not give the pathogens a chance to feed. Ripe fruit is allowed on GAPS and SCD, though if you are doing the ketogenic version of the GAPS Diet you will want to avoid bananas for the most part, as they are high in carbs. Want to learn more? Here is everything you need to know about the GAPS Diet. It took me a while to get the hang of using bananas on GAPS. I’d buy one bunch at a time, and they seemed to take forever to ripen and then we’d use them all up in a day. I finally figured out a banana system that works for our family. Buy in bulk. I buy an entire box (about a dozen bunches) at a time at Costco, or at the health food store if they are running a sale. Bananas aren’t heavily (if at all) sprayed and are one of the fruits that are not important to buy organic. Choose unblemished fruit. 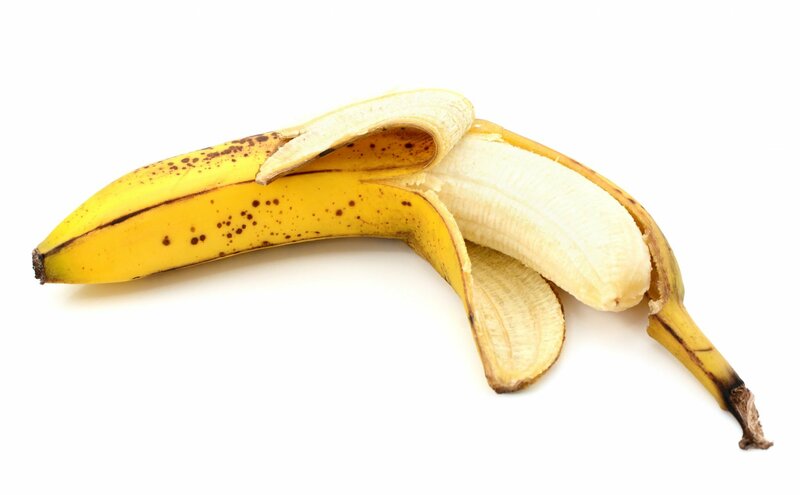 Bananas that have any blemishes on them more often than not will rot before they ripen all the way. It may not be noticeable if they are green or yellow, but any bruises will be very apparent by the time they are ripe! So choose your bananas carefully. Unwrap. As soon as we get home, free bananas of any plastic wrapping. The plastic can trap moisture, which encourages mold – yuck. Set a morning to prepare your bananas. Once the bananas are finally ripe, we set one bunch out to use in recipes like banana nut muffins, and the rest we slice and dry in the dehydrator and flash freeze. To dry, slice into evenly sized rounds and lay flat on the dehydrator tray. I use this dehydrator. They can touch, they will shrink as they dry. Dry on high overnight. To flash freeze simply peel the bananas and then lay them onto a cookie sheet, try to avoid having them touch for this. Then place the cookie sheet into the freezer and once frozen, flex to pop the bananas off. Then they can be transfered to a zip-top bag and stored in the freezer. To use in smoothies just use as is frozen or cut in half if it helps your blender. To use in baked goods, thaw the bananas needed in a bowl and use in the recipe- they are easier to mash this way too. Bananas are one of the main reasons I have been skeptical about the SCD. I’ve been unwilling to try them, even when very ripe, because of the intense stomach pain they’ve given me in the past. In “The Curious Cook,” Harold McGee has a chapter on persimmons, where he discusses how to neutralize the tannins that make them astringent. He mentions that tannins can cause proteins to coagulate in the stomach, which can cause digestive distress, and he cites bananas coagulating in the blender as another example of this phenomenon. Ripening is the primary means neutralizing tannins, and it can be accelerated by putting the fruit in an airtight container, which increases the exposure to carbon dioxide. For that reason, I thought actually sealing bananas in plastic would help, although I admit it’s done little for the plantains we bought weeks ago. McGee cautions that the plastic must be airtight, though – microwave-safe plastic wrap will not work. Does the SCD say anything about tannins? I believe they’re also a problem with cranberries. I don’t know that I’ve read anything about tannins on SCD. My son actually doesn’t do well with bananas, I can use them in baking or he can have a few banana chips, but if he gets more than about half a banana a day his digestive system gets thrown off. I was thinking it was fructose for a while, but now I think it’s just bananas and I hope he grows out of it. It happens with apples with him too, but only those fruits. But the rest of us do well with them. In my personal experience, under-ripe bananas cause constipation, over-ripe bananas cause diarhea. So, I rarely eat them, because it’s hard to get them at the perfect stage. Don’t know if that is helpful to anyone else. I believe it’s the tannins that cause constipation, and why bananas are a recommended treatment for diarrhea (persimmons are too). I have problems with apples too. And peaches and plums. I don’t know if it’s fructose or sorbitol. I have had a hard, hard health journey over the last 2 years. I’ve lost a lot of weight and am extremely underweight. My doctor is now starting to think I have an eating disorder. Needless to say, I’m too scared to go back to the doctor. My bowels for a long time were loose, mushy, stool…always incomplete. nutritonists put me on no dairy and heavier on grains, beans , and vegetarian protein powders, etc….I mentally found it tough to eat grains (haven’t been able to exercise at all), so that was hard. i did some googling and i personally seem to match the following: diverticulitis (left abdominal stitching is so so bad), small intestinal bacterial overgrowth, and adrenal fatigue. I’m not very experienced in digestive issues (we’re doing SCD for autism and fortunately haven’t had many digestion problems) but I would look into the GAPS Intro diet, as it very slowly introduces very digestible nourishing foods. I hope you find something that helps! I don’t know if you have had your questions answered since it has been over 3 years but if not, maybe I can help you (and others). Have you considered being celiac where you can’t eat gluten? 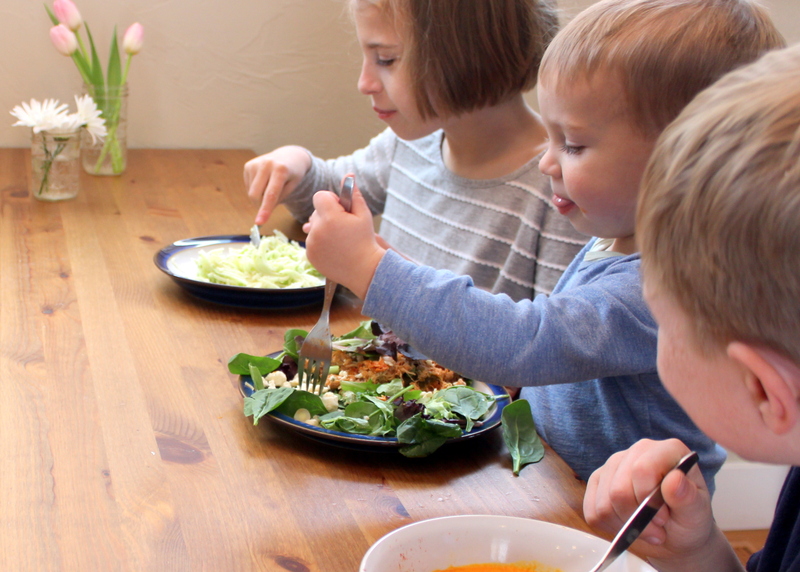 Our entire family is gluten free and dairy free. I use to have terrible stomach pains, constipation, painful diarrhea, sore belly button, skin problems, being underweight (which celiac can have the opposite problem too), sore knees, canker sores, etc. You can go to https://www.enterolab.com/ and get tested for the celiac and gluten sensitive gene(s). Hope you are feeling better now because it hurts eating food that your body does not like. I feel so much better being gluten and dairy free. Take care. One more thing, I can’t eat bananas since it causes oral allergy syndrome (itchy throat and ears) plus stomach, gas pains too. My daughter gets the pains like me. I just wanted to say thank you for your blog. I will be starting a GAPS-like diet (still not sure I can do the whole thing!) and I’ve been looking for a blog to follow for initial recipes, suggestions, tips, etc. Yours is great!!! I’m already eating pretty well but I could definitely use more animal products and veggies in my diet. I’m looking forward to learning more here! I love your practical system for catching bananas at the peak of their potential. And thanks for the links to the recipes! I’d like to start scoping out good deals on coconut flour. We’ve been on a banana streak in our house lately. So it’s nice to see someone else posting about them, maybe it’s not just us! You can throw the whole banana (in peel) into the freezer and just defrost before using (use any “water” that comes out of it) and you can also use them frozen in smoothies. I just hold it under running water for a minute and take a sharp knife and peel the banana and pop it into the blender..mmmm! ONLY BUY ORGANIC BANANAS now, they ARE HEAVILY SPRAYED. I cannot digest conventional bananas, but I can eat Organic. I thought I was going crazy until I researched and found many articles about them being sprayed A LOT!!! Is there any preparation to dehydrating the bananas?? Just cut them up, put them on the tray and turn the dehydrator on…is that it?? I was shocked to read earlier this week that what’s typically sold as banana chips in stores are fried bananas. That’s why they are always listed with coconut oil.